Most New York CEP clinics have now been posted to the clinic registration site. 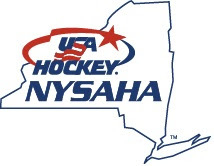 You can register for clinics at http://www.usahockey.com/coachingclinics. * Goalie Coach clinics -These clinics are designed to teach youth hockey coaches of all skill levels how to effectively work with and develop goalies. Coaches do not need to be a goalie or ex-goalie to benefit from this clinic. This will be a “level up” clinic. Coaches who attend this clinic can receive Level 2 or 3 certification, or a obtain Level 3 recertification. (Sorry, you cannot use this clinic to obtain your Level 1 certification.) We have an experienced staff for both clinics, lead by Dave Starman.